Throughout its 7000 year old history India has provided the world its riches, however India’s contribution to science and technology have been always overlooked. These contributions have become so much a part of our daily lives that we've taken them for granted. 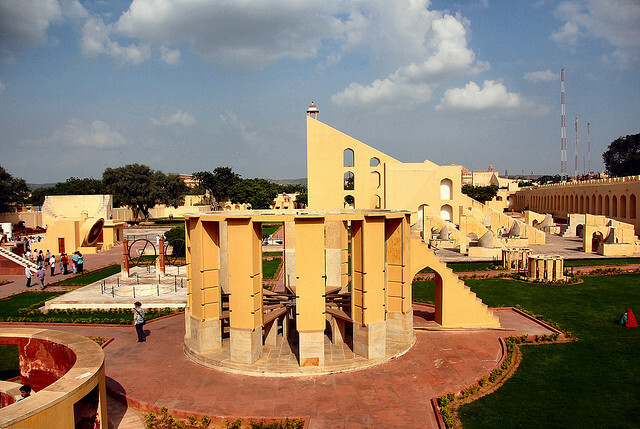 In this article we look at some of the invaluable contribution to science from ancient India. Ancient indian astronomy was a discipline associated with study of vedas dating 2000 BCE or earlier. Astronomical principles were borrowed to explain matters pertaining to astrology. However science of Astronomy continued to develop independently, key to advancements in Astronomy was development of geometry and mathematics. Vedanga Jyotisha is one of the earliest known Indian text on Astronomy (1200 BCE), it includes details about the sun, moon, stars and the lunisolar calendar system. The Shubla Sutras written around 1000 BCE was dedicated to giving instructions on fire altar construction. The Subla Sutra discusses advanced mathematics like pythagorean theorem, it gives many examples of pythagorean triplets to explain the concept. The Subla Sutra also uses other advanced geometry and mathematical concepts to explain construction. A Formulae for determining the square root of number two is described in detail, the value derived is accurate up to 5 decimal points from the true value. In 500 AD, Aryabhata presented a astronomical and mathematical theories in which the Earth was taken to be spinning on its axis. Aryabhata also wrote that 1,582,237,500 rotations of the Earth equal 57,753,336 lunar orbits. This is an extremely accurate ratio, perhaps the oldest astronomical constant calculated to such accuracy. Brahmagupta (598-668 CE) was the head of the astronomical observatory at Ujjain and during his tenure there wrote a text on astronomy, the Brahmasphuta Siddhanta. Bhaskara (1114-1185 CE) was the head of the astronomical observatory at Ujjain, continuing the mathematical tradition of Brahmagupta. He wrote the Siddhanta Siromani which consists of two parts: Gola Dhyaya (Sphere) and Graha Ganita (Mathematics of the planets). Ancient Indians used words to express numbers, for instance the word “Bhuj” meaning arms was used to denote the number two (since humans have two arms). But words did not allow mathematical calculations, so around 10 BCE words were replaced by symbols to represent numbers. Before the Indians the Babylonians had a two single symbols to represent numbers, but the applications of this was limited. The Indian system of 9 single digits to represent numbers was more convenient and accurate. But the most significant contribution of Ancient India was the last symbol of this ingenious numerical system and that is Zero. The symbol stood for the sanskrit word Shunya meaning nothing. Introduction of this symbol as a concept to the numerical system was a landslide moment in history of mathematical computations. The invention of Zero has been heralded as one of the greatest in human history, it is what allowed modern mathematicians and physicists make advancements, without it there would be no binary system and no computers. This 10 digit system given to us by Ancient Indians is what we use today. India has a 3000 year history of hand forging metal to build tools and swords. 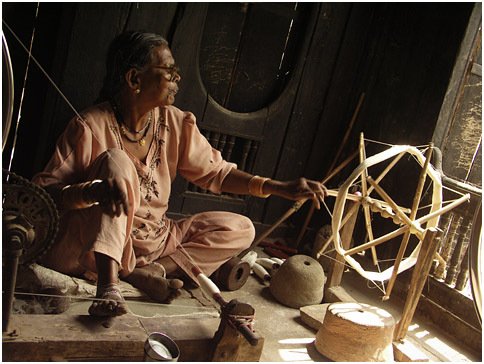 The traditional methods of blacksmiths that were in use then are still in use today in some regions of India. In the 11th Century CE when european crusaders felt the effectiveness of the islamic swords in battle, war stories gave rise to the legend of damascus blade. It was said that one blow from it could slide a european helmet without damage to the blade or it could slice through a floating silk scarf just as easily. Although the damascus steel were being forged the capital of syria, the steel and the technology for these blades came from India. 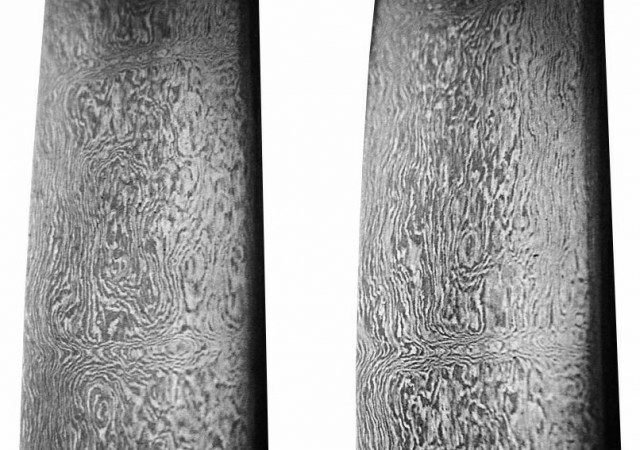 This steel was called Wootz steel and is believed to have been developed in 1st century BCE or earlier. Even Alexander the great sought these swords from India. Europeans took many of these blades home determined to uncover the exact composition and technique involved in making them. In centuries after the crusades many tried to replicate the swords of damascus or Wootz steel, most achieved similar appearance but not the properties. Infact it was not until 1975 that the secret of Indian wootz steel was uncovered. The quest to reproduce wootz steel had many bi-products such as metallurgical microscopy in 1922 and invention of metal alloys like stainless steel by Michael Faraday in 1822. Today it is almost impossible to imagine life without Stainless Steel which is used in everything from Airplanes to Utensils. Cotton was first domesticated more than 5000 year ago in the Indus Valley civilisation for their nutrition rich seeds as feed for cattle. Ancient Indians then figured out ways to convert cotton ball into threads and then into fabric. A Major challenge in this process was the task of removing seeds from a cotton ball, so they invented a simple ginning device for speeding the this process. The cotton was then hand spun into threads, this gave tbe Indian fabric a softness and quality that no other country could replicate. To mass produce and increase efficiency of spinning thread another device was invented around 1000 years ago – the spinning wheel, this device doubled the quantity of thread produced by a skilled worker retaining the legendary quality. In 18th Century european tried to mass produce Indian quality cotton cheaply, the result was use of machines and beginning of the Industrial revolution. While these machines were able to duplicate most of the legendary Indian process they were not able to get the softness and quality of the Indian fabric made from handspun cotton thread. Today cotton is so essential to our lifestyle, without it we wouldn’t have t-shirts, pants or our favourite jeans. The ancient Indians attributed state of one’s health to their eating habits. Science has now shown us that some plants have medicinal powers. Willow bark is basic ingredient for aspirin, garlic is believed to boost immune system and help with minor ailments. But the use of Herbal medicine is only one step to health in Ayurvedic system which is a comprehensive philosophy. Ayurveda in Sanskrit means the science of life which defines health as total well being, a diagnosis not only looks at his/her immediate symptoms but also to the patients food habits, weather and his/her mental state, relationships. 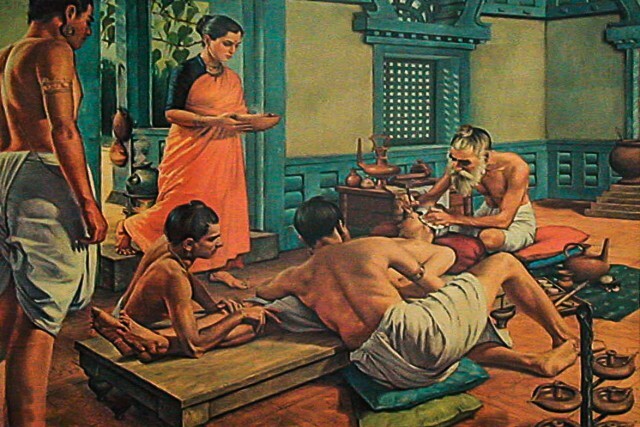 Ayurveda was the first system of medicine to appear in the world. Today after 5000 years this holistic approach to health is embraced in the west. 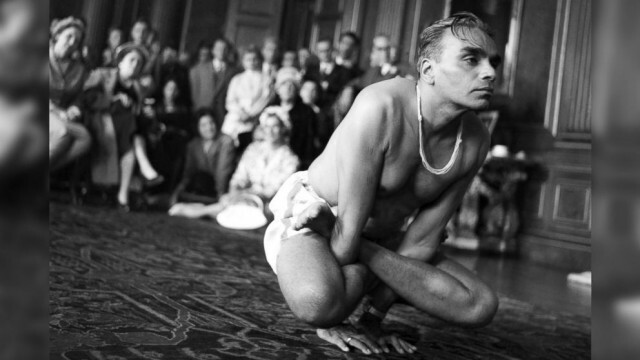 Yoga which is one of the most important aspects of Ayurveda has also become very popular. Ayurveda made many strides in medicinal field hundreds of years before the European system came, it had many specialties like psychiatry, pediatrics, ophthalmology, toxicology, gynecology and surgery. Ancient Indians developed surgical tools and operating techniques centuries before the European systems did. The Sushruta Samhita authored by Sushruta in 6th Century BCE is one of the foundation texts of Ayurveda. In 184 chapters it contains descriptions of 1,120 illnesses, 700 medicinal plants, 64 preparations from mineral sources and 57 preparations based on animal sources. The text discusses surgical techniques of making incisions, probing, extraction of foreign bodies, alkali and thermal cauterization, tooth extraction, excisions, and trocars for draining abscess, draining hydrocele and ascitic fluid, the removal of the prostate gland, urethral stricture dilatation, vesicolithotomy, hernia surgery, cesarean section, management of haemorrhoids, fistulae, laparotomy and management of intestinal obstruction, perforated intestines, and accidental perforation of the abdomen with protrusion of omentum and the principles of fracture management. It enumerates six types of dislocations, twelve varieties of fractures, and classification of the bones and their reaction to the injuries, and gives a classification of eye diseases including cataract surgery! Reconstructive surgery were being carried out in India by 800 BCE. In the olden times the punishment for adultery was commonly cutting of the nose, this drove the introduction of a specific reconstructive surgery technique in India. Today the same technique is still in use in India and elsewhere in the world as Rhinoplasty or more popularly known as a nose job!